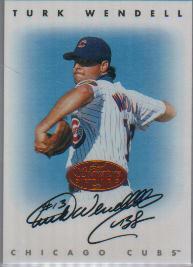 I have an amazing response from pitcher Turk Wendell. While he offered some great baseball insights, his comments on patriotism give us a perfect way to celebrate this Veterans Day. Although I had squirreled away the whole letter for publication next week, I’m grateful that my wife Diana convinced me that I should share a bit of Turk’s inspiration for this holiday.